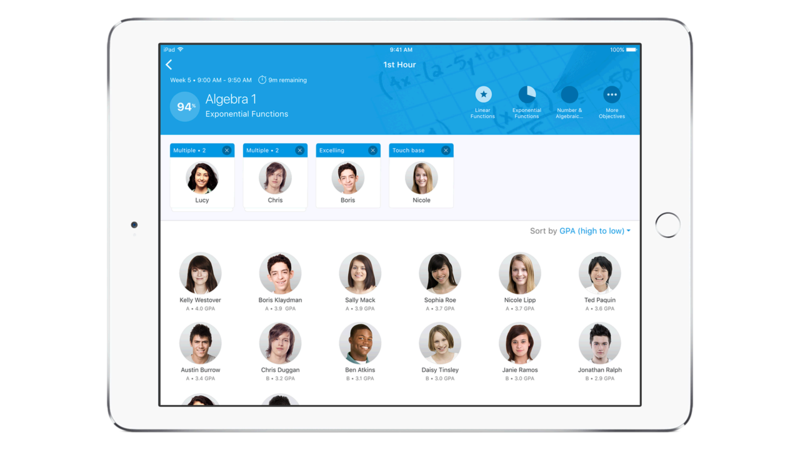 IBM MobileFirst for iOS IBM Watson Element for Educators allows teachers to quickly access individual and collective student information and incorporate feedback from classroom activities. IBM Watson Element for Educators shows student test scores, achievements and deficits. It provides teachers with insights that help determine how to engage best with each student. The apps interactive collaboration and customization capability provide a unique student, teacher and parent learning experience. Real-time descriptive and predictive analytics decreases the time teachers need to find information about each of their students. Real-time notifications provide teachers with input on student activities. These insights help to create an optimal learning environment and identify students in need of attention. Teachers can interact with students or parents through FaceTime and iMessaging. Camera, video and audio interactions help to customize individual student learning.